It’s so new it smells of fresh paint and superglue. And I walked and walked, wide-eyed and happy to be walking through the history of Indian cinema. Films Division employees have been deputed to look after visitors since the museum is not yet open officially to the public with tickets et al. This is a soft opening, I am told, and it is free until the weekend. That I should start from the fourth floor and come down, and don’t forget to visit Gulshan Mahal, the preserved bungalow next door. 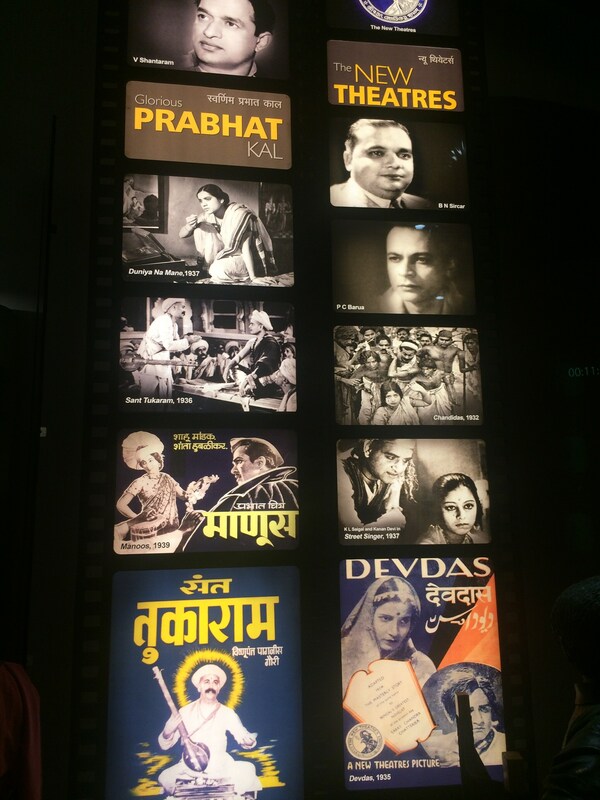 I accept the pamphlet, and I walk in to the fourth-floor exhibit ‘Cinemas Across India’ ready to be dazzled. I turn to The Tent Talkies. Then I spot Dadasaheb Phalke walking with a lady. Wait, what?! Maybe, just maybe the Sun has got to me. But my curiosity gets the better of me and by the wall of filmmakers of the Silent Era, I have to ask him, "Why do you…"
"I am his grandson," He confesses. "There’s a resemblance, yes?" I sound like a fish out of water but recover enough to get a card, and he tells me how his granny would punch the sprocket holes manually on the film at night, how they’ve requested the government to start an award for film technicians named after her, how they’re here to take a look before the crowds get to know about the place. We exchange numbers and I get lost in the videos about the silent film greats. Also, make a mental note to suggest they open a museum store that sells books and videos and lego Satyajit Ray and Madhubala. Of course, there are old movie cameras and projectors, but they’re framing copies of censor certificates, and as I peer through the names I hear a resounding slap that echoes through the floor. The only child among the visitors has been slapped by his mother for tearing open a bag of crisps which are now littering the floor. The museum should restrict entry to very little kids and food. 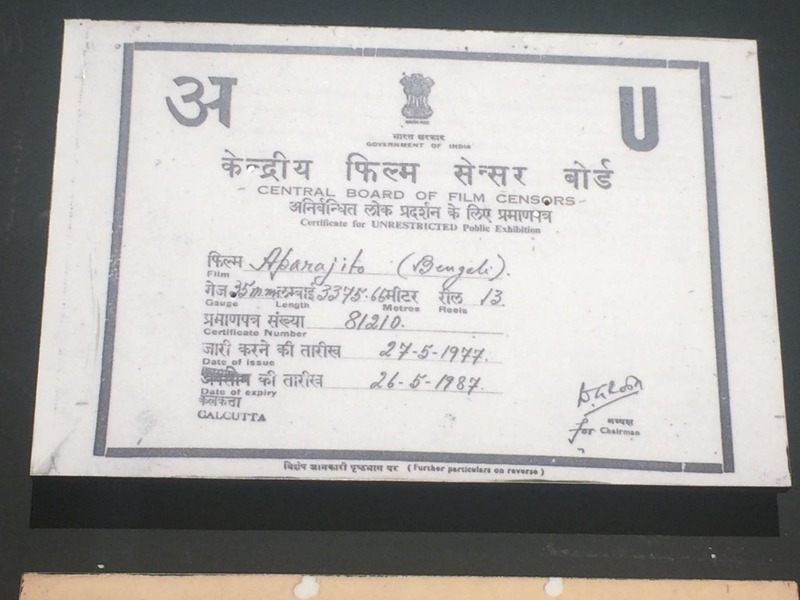 The drama of the slap isn’t over because I spot the censor certificate of Satyajit Ray’s film Aparajito. Perfect. Because I remember the ten rupee scholarship scene where the mother slaps him. I get stuck by the video wall where they’re talking about studios and playing clips of films. And use the touchscreen thingamajig that captions the old stills. This is great technology at work here. Am impressed. 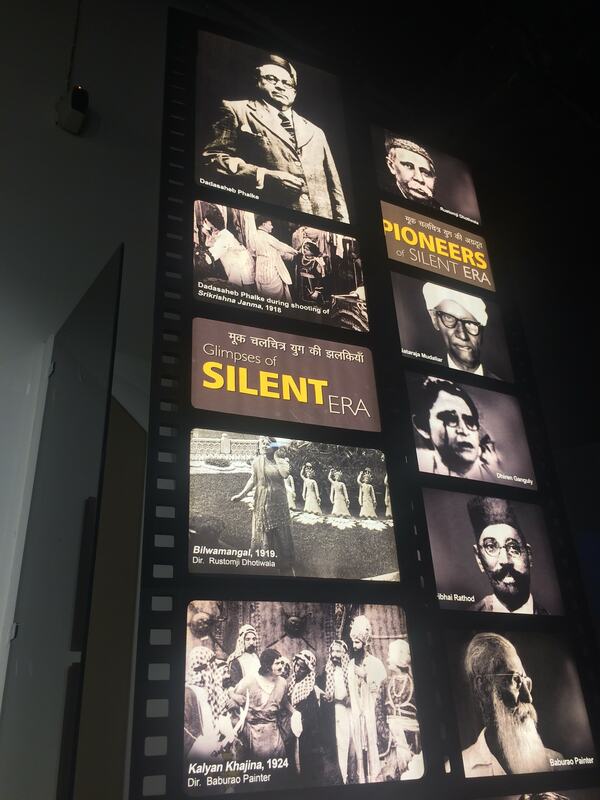 In front of practically every exhibit, these screens have been placed, and you can use the headsets and hear the words, or read the text in English or Hindi. This is brilliant. I stop reading after I spot mistakes in the text like ‘Bumbay’ in Hindi for ‘Bombay’ instead of the expected ‘Bambai’. But I’m not complaining. There’s Ilayaraja on the giant video wall of music and the documentary on how costumes were designed in Hollywood and Bollywood playing with three costumes in a glass case (there should be floor dedicated to costumes, even if it is a copy of an Amitabh Bachchan’s knotted shirt or Dharmendra’s thigh exposing leather skirt from Dharam Veer!). This is just the fourth floor. And I imagine three day passes being given to film crazy people like me. How else do you go through over a hundred-year history? The third floor takes you into the world of making movies. Perfect for those who come to Bombay with celluloid dreams in their eyes. The process of filmmaking is explained, and not incorrectly, a huge display shows old fashioned film editing tables. There I happily overhear three gents from the Films Division (one retired) wax poetic about the editing machines and how the films have lasted through these years and how digital editing is not art but craft. They lament how we have not been able to save old classics. It is worth sitting down and watching how the movies grew up, from the silent era to the now giant 70mm format. You have to strain to make sense because the audio from this screen is getting mixed up from the sounds on the super awesome real life size screen projecting more movie related things behind me and with another screen that’s telling me about how sound was best used. I’d give my kingdom for an audio guide, or a headset cancelling out other sounds. But so much joy in discovering that the museum is clearly bent on seducing me with everything they have. That includes movie posters, music album covers, EP and LP records (‘vinyls’ hipsters call them) and yes, there’s no explanation, but a film printing machine stands forlornly in the corner, like an alien because everyone only talks ‘digital’ these days. Watch the film Cinema Paradiso and you will see that the boy bicycles from one theater to another with film rolls to be projected. That printing machine would print those ‘film reels’. Should I apply for a job as a museum guide I wonder. 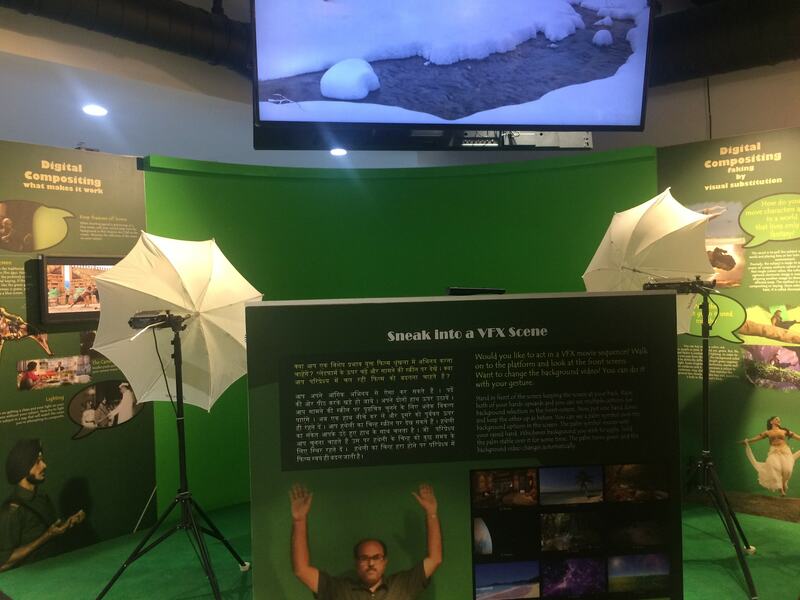 The second floor offers a hands-on filmmaking experience, the pamphlet says, especially for children. I want to qualify that statement to read, ‘well-behaved children’. There’s an animation station, a dubbing station an editing station and a green screen where you can put yourself in a scene. I visualise hoards of children destroying the floor in minutes. 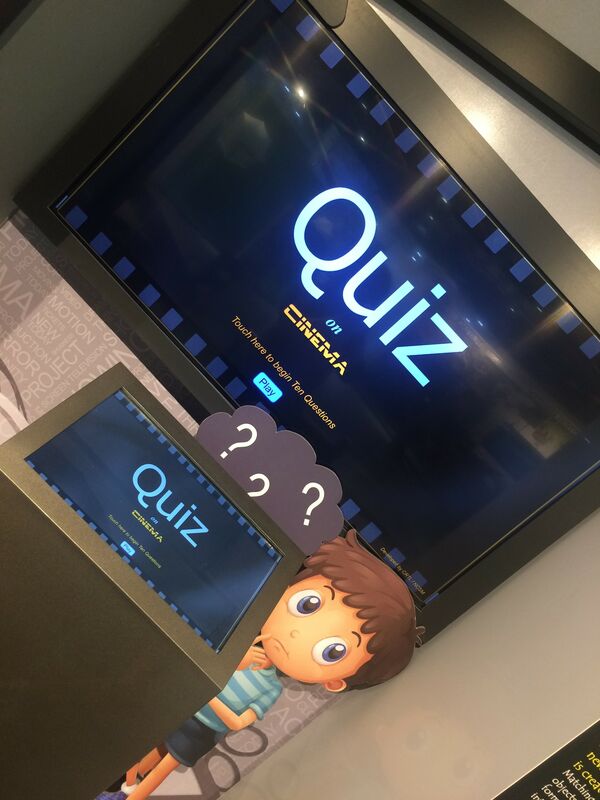 But I cannot step away from a console that says, ‘Quiz’. I won’t tell you how much I scored, but only that I wafted down the stairs to the first floor feeling rather chuffed, only to find that the entire floor is dedicated to Gandhiji. 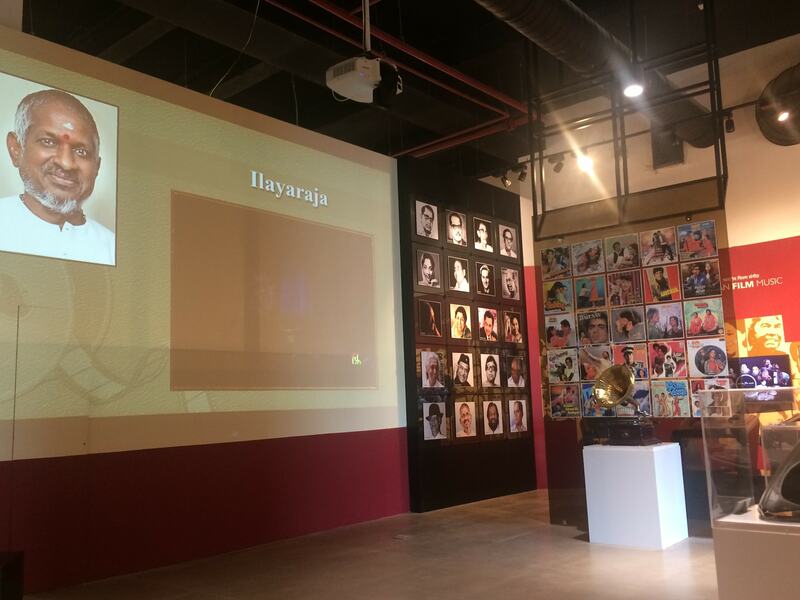 For a man who had never watched a film and made sure he spoke about how censorship was important, I personally think he did not deserve a whole floor in a cinema museum. But that is politically incorrect opinion to have, I suppose. 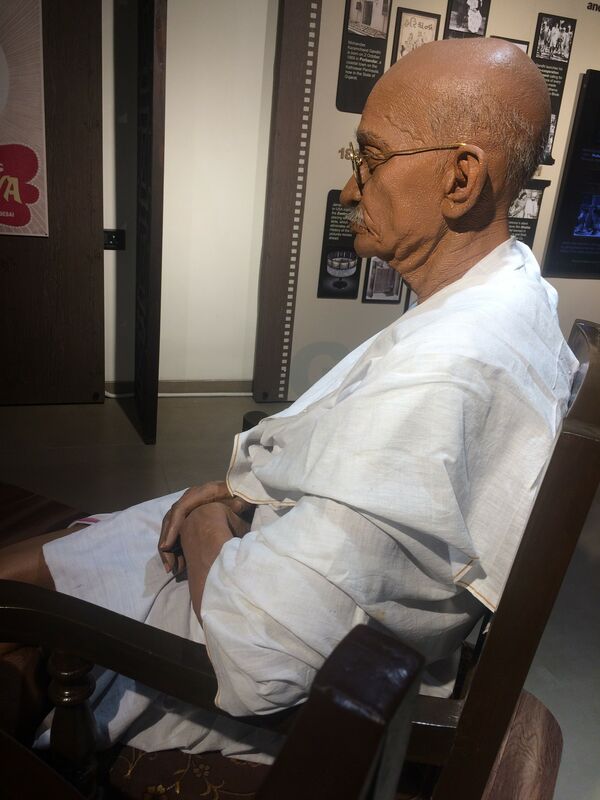 Yes, there’s a Gandhiji sitting on a chair watching the movies, and you can sit on one beside him for selfies. The freshly preserved Gulshan Mahal bungalow next to the glass-encased museum has more magic. 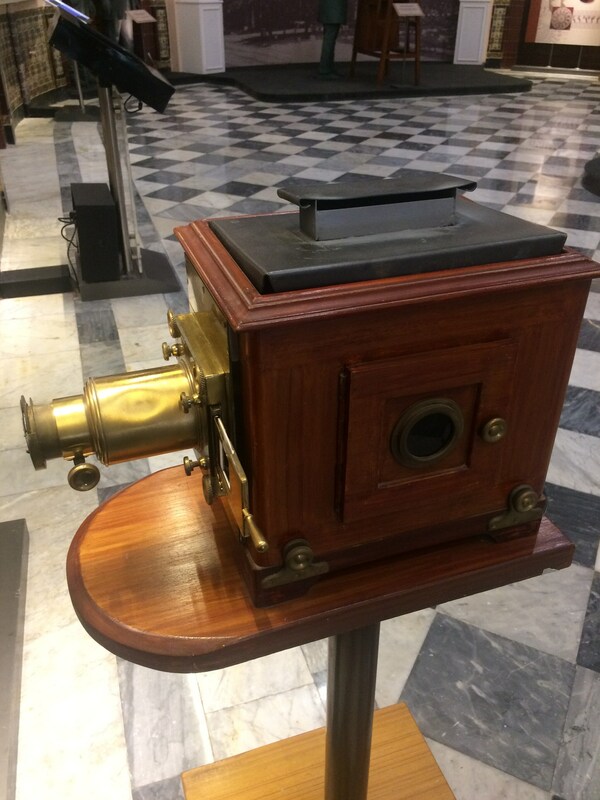 And I must confess that despite film school and visiting the MOMA in London and New York, I don’t remember seeing the Magic Lantern this close. 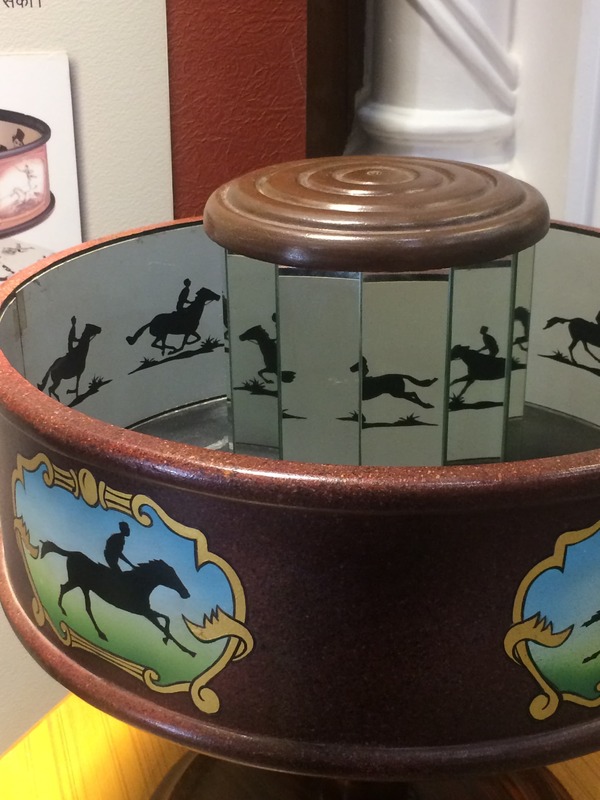 There’s a Praxinoscope and Thaumatrope (remember you played with a toy as a child: picture of cage on one side and bird on the other, when you spin it, you see the bird in the cage? ), Phenakistoscope (already broken) and statues of Lumiere Brothers and how Indians told stories with pictures. And the bungalow is a stunning setting, with hand made tiles and vaulted ceilings and beautiful wooden staircases. There are more photographs of movie stars and movie posters of regional cinema too. But what blows my mind are the one anna (a currency unit formerly used in India) songbooks and lobby cards (stills from movies displayed in the lobbies of movie theaters). 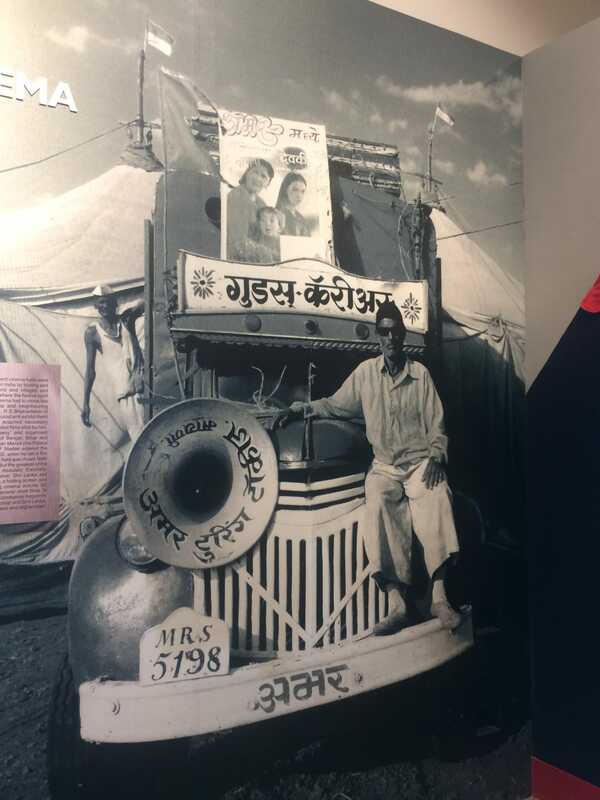 The most fascinating display of Raja Harishchandra and a documentary of how Alam Ara is so important to our cinema keeps you glued, and you wish you could it down and watch (which would mean I would never leave) each documentary. There is a theatre and plans for a food court adjacent to these two buildings as well, and the gardener is watering the beautiful live walls on the entrance of underground parking. I sit under a tree to rest my aching legs and pray that the government and powers that be will make sensible decisions like keeping the ticket prices steep enough to admit only those who can respect the equipment and displays inside, provide audio guides like other museums around the world, take care of the too-bright lighting inside the museum, ensure security, maybe even control number of people entering the place at a time, a store to sell dvds, fun things like bags and cushion covers with your favourite movie stars, sell movie posters, bring back vinyls, replicas of cameras and yes, toys for kids. I would definitely buy Lego Sholay and Shah Rukh Khan hug pillow. I cross my fingers and hope our people will respect the museum and take pride in our heritage. But the museum is such a wonderful start, I push negative thoughts aside and realise that I need tea. I wander out with stars in my eyes once again. Manisha Lakhe is a poet, film critic, traveller, founder of Caferati — an online writer’s forum, hosts Mumbai’s oldest open mic, and teaches advertising, films and communication.